Young And The Restless Spoilers: Billy Ruins Kyle And Victor’s Jabot Scheme? Young and the Restless spoilers tease more scheming to take down Jabot is coming soon! 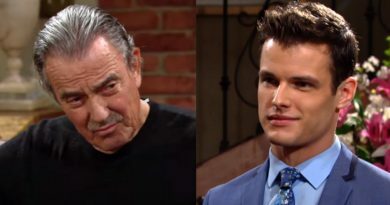 Kyle Abbott (Michael Mealor) has learned the truth about his father Jack Abbott (Peter Bergman) not being a blood Abbott. 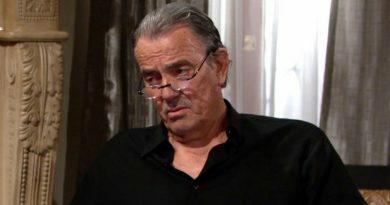 According to Y&R spoilers, Kyle runs straight to Victor Newman. Bold and The Beautiful Spoilers: Adain Bradley Debuts As Alexander Avant – Meant for Sally or Intern Emma? 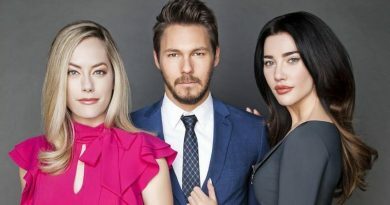 Bold and the Beautiful spoilers promise fans can expect a new addition to the Avant family coming in June. 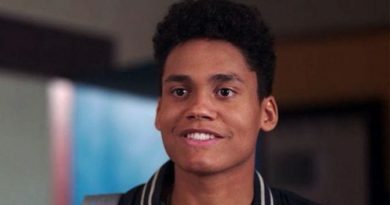 According to B&B casting news, Julius Avant’s (Obba Babatunde) nephew Alexander Avant (Adain Bradley) is coming across the pond from England to Los Angeles. Days of Our Lives Spoilers: Andre Return Teased – Thaao Penghlis Back To DOOL? Days of Our Lives spoilers are getting fans excited at the possible return of a Days baddie gone good. 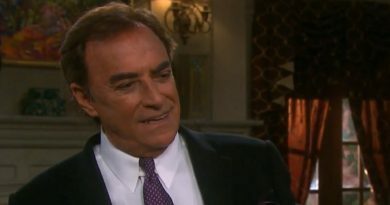 Thaao Penghlis, who has played the role of Andre DiMera throughout the years on DOOL, hinted to Soap Hub in a recent interview that there was a possibility. The Bold and the Beautiful spoilers promise interesting things for one B&B man. Liam Spencer (Scott Clifton) once again finds himself in a love triangle that is confusing and he knows that he is going to have to hurt someone before it is all said and done. ‘Days of Our Lives’ Spoilers: Salem’s Dark Princess Returns With a New Face! 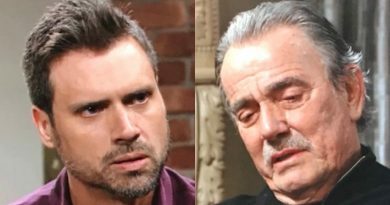 ‘Young And The Restless’ Spoilers: Paternity Puzzle – Kyle And Victor Father And Son? ‘Days of Our Lives’ Spoilers: Stefan and Abby’s Shared Past? Days of Our Lives spoilers promise that fans may soon have a new question to ponder. What if there is a deeper connection between Abigail Deveraux (Marci Miller) and Stefan DiMera (Tyler Christopher)? We know that Stefan lived in Europe and was known as “Sam.” Abby was also in Europe. ‘General Hospital’ Spoilers: Ava’s Choice – Griffin or Avery – Will She Lose The Love of Her Life? General Hospital spoilers reveal that Ava Jerome (Maura West) has always proven to be her own worst enemy. But after she was burned in a fire and nearly lost her life, it appeared she was ready to turn over a new leaf. Dr. Griffin Munro (Matt Cohen) took her on as his ‘special’ project and the two ended up in a steamy romance. The Bold and the Beautiful spoilers promise things are going to pick up speed. Next week, Liam Spencer (Scott Clifton) hears that Steffy Forrester (Jacqueline MacInnes Wood) and Bill Spencer (Don Diamont) are still having a fling. 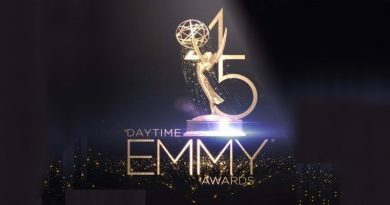 Days of Our Lives spoilers reveal that Stefan DiMera (Tyler Christopher) has quickly become the most reviled man in Salem. Now he is in a hospital bed healing from the vicious beating he received at the hands of his brother Chad DiMera (Billy Flynn). ‘Days of Our Lives’ Spoilers: Ben Weston Is Back – To Finish Off Abby And Will? 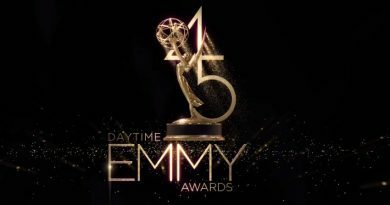 Days of Our Lives spoilers hint that a dastardly villain is back in Salem for May sweeps. Our favorite psych patient is coming back in just a week or two. Robert Scott Wilson will bring Ben Weston back to town. Young and the Restless spoilers promise that Nikki Newman (Melody Thomas Scott) has been enjoying a hot little fling on the side. Her marriage to Victor Newman (Eric Braeden) is open and Nikki landed a boy toy!